Shah Hussain Murtazawi Murtazavi Murtazvi Mortazavi has completed his higher education in the field of law and political science (International Relations) and was one of the media activists. He was also serving as Chief Editor for Hasht-e-Sobh newspaper besides serving as lecturer in NAI organization which supports open media in Afghanistan. Behind the presidency of Mohammad Ashraf Ghani Ahmadzai in Afghanistan, there is a small group of people who tactically stage-manage his every movement, function and word in order to dramatize his performance as the so-called representative of the people. Among this “executive arm of the invisible government” is Shah Hussain Murtazawi. 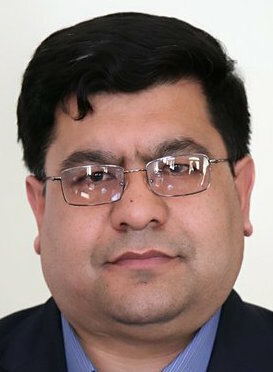 Ever since becoming Ghani’s Deputy Spokesperson, Murtazawi has been the face of the inescapable media presence of Arg, the presidential palace in Kabul, and its “alternative facts.” In his deceitful and illusory efforts, Murtazawi has been irrationally trying to engineer and puff up a “demagogue” to fit the office. Coming from a reputable journalism background, the spokesman’s graphic pronouncement of President Ghani’s “rightness” has broken path with core principles of ethical journalism. Through his untrue and dishonest manipulation of the masses’ opinion, he made President Ashraf Ghani Ahmadzai so important that he has become not just the president but someone closer to a deity. Pashtuns call him their spiritual father, “Baba.” Such blind devotion resembles deity worship.